​Christian Ramilo, affectionately known by his nickname Bong, from Darwin, the capital city of the Northern Territory (NT) of Australia, was recently honoured by being named the NT's Australia Council awardee for 2018, for his outstanding contribution to arts in the NT, and the wider Australian nation. Bong joins an impressive and diverse group of individuals who have received these awards in previous years. Australia Council CEO Tony Grybowski said: “These national awards are a critical way for the Australia Council to recognise the remarkable achievements of individual Australian artists, as well as highlighting the broader contribution of all our artists to enhancing the lives of Australians. The recipients of the 2018 awards are leaders in their respective fields". 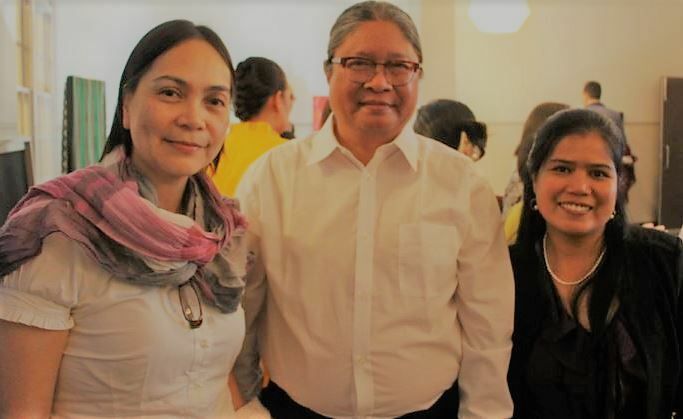 Photo above: Christian (Bong) Ramilo standing between Malou Pascual-Anes, Australian Red Cross Manager Community and Social Enterprise Programs, ACT (left) and Gloria Ross, RFA Director and Broadcaster (right) at a Philippine Embassy of Australia organised joint performance of the Darwin and Canberra Rondalla groups at an inner-city Canberra arts centre, late March 2018. Photo above left: Christian (Bong) Ramilo, on stage (far right) during a performance. 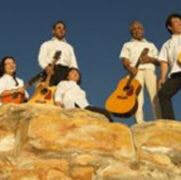 Photo above right: Rondalla members on a cliff top in Darwin. ​Listen to Bong's interview with RFA to learn more about this talented and inspiring Filipino-Australian man, his efforts and the wider efforts of the Darwin Rondalla in his own words.